This week I have a guest blogger on here, she’s not a blogger yet per se, but as you can see she is a very talented writer. Laney Brentano is my cousin and comes from a family that is rich in farming roots! She asked me to answer a few questions for a paper she was writing about women’s role in agriculture and how that has changed over the years. Here is her paper, and I think that it says a lot about how important women are to this industry and also how their roles are always evolving when it comes to agriculture! It goes unsaid that when the business of agriculture is mentioned, the first thought to go through one’s mind is that it is predominately a man’s world. Over the years, it has been made known that a woman’s place is in the home, while a man is the bread winner. Yet there seems to be a change happening with the upcoming generations. More and more women are redefining their role in agriculture, moving from the kitchen and office to the field. Me with the Freeborn Father and Daughter pair, another girl taking the reins. In the past, women of agriculture have been the silent heroes of everyday life. Filling their roles behind the scenes, women have allowed the farms to run smoothly without any glitches. Since men are often the physically stronger gender, women were left to run the homes, raise the children and do the necessary paperwork to keep the business running, while the men ran the outside operations. Times are changing and the line that separated women from men in the professional world is blurring. Women are now doing jobs just as well as men, and men are doing jobs that were originally only meant for women. With all this change, the option for women to find new roles in life is open and many women are jumping at the opportunity. 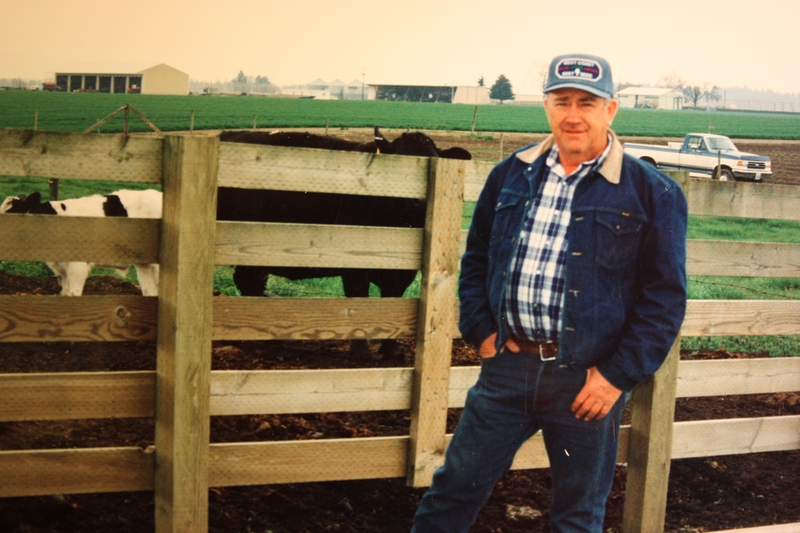 My Grandpa Carl, another hard working farmer! Farm work is hard, physical labor that takes a toll on the body. This is where the generalization that agriculture is primarily a man’s world comes from. 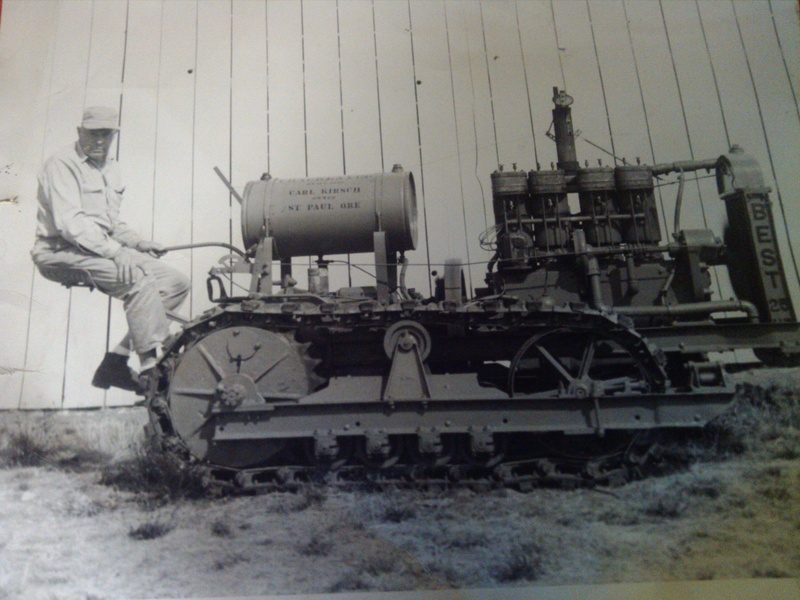 Since back in the day, horses were used to plow the fields and do many of the jobs that we now use machines for, men were the ones capable of producing the strength needed to drive the horses. Now that we have machines, anyone can run them and efficiently get the job done in an amount of time that has significantly changed since using a horse. With the inventions of machines comes the option to put women at the wheel. A 2007 census stated that one or two out of every ten farms is now operated by a woman. Yet many women farmers are still confronted by the gender stereotype. On Civil Eats blog, Nicole Sugarman talks about how people often approach her and tell her she does not look like a farmer, or someone that “rides” a tractor. She realizes that by this they mean to point out that she is a young woman, and that they believe she is incapable of running such machinery, let alone an entire farm. Sugarman is part of a new crop of farmers, women that are redefining agriculture and broadening the horizons for young women everywhere. Being a female farmer is still something out of the ordinary, and that tends to stir up a lot of controversy. It still is not a topic that is discussed openly, which is odd but true. The census also recorded that the amount of farms operated by women has more than doubled between 1978 and 2005, from 100,000 to 250,000. Sugarman states in her article: “As the country’s farmers age, a new “back to the land” movement, fueled partly by desires to put personal politics into action and an increasing disillusionment with the job market and traditional concept of careerism for young people, is encouraging a new crop of farmers, many of them women.” Since women cannot do all the physical labor needed to run a farm, this new breed of farmers farm under non-traditional arrangements. You will often see co-farming, where more than one person runs the operation and tasks are divided up. The Brentano Family…lots of love and lots of GIRLS! In St. Paul, Oregon, this topic is often discussed. With so many of the older generations getting ready to retire, the question of who will take over the farm is constantly being asked. It seems that future generations of St. Paul are, for the most part, girls. More specifically, the Brentano family has turned into a long line of young women who are at the stage in life where they are deciding whether or not to return to the farm after college. Although our fathers don’t see themselves retiring for another twenty plus years, it is a concern of theirs whether one or more of the cousins will return to the farm and continue the operation. Mr. Ed Brentano, The beginning of this legacy. The Brentano farm was started by Ed and Carol Brentano, who then had six children. Out of those six children, the four boys have worked together to manage the corporation and are now looking at their daughters, teaching them the ways of agriculture to prepare them for when the time comes that they need to take over. As one of those girls, I often find myself looking into the future and wondering where I will end up. Some of the cousins have found themselves going to college to learn more about the industry, and others it comes more naturally too. Because I have grown up around the farm, I know the work that my father and uncles put into it every day. I have seen the toll that the physical labor takes on their body and how their job consumes all of their time. We don’t go on family vacations, or out to dinner much, and we hardly see our father during the summer unless our machine breaks down or we need another job. I still am unsure if I have enough strength, physically and mentally, to do the jobs that they do every day, but I hope I can work to fill their shoes over time. I have big dreams, but I know that the farm is at my very core and I cannot picture a life I’d rather be living. I really do hope that one day I can say I am one of the new breed of farmers, conquering the agriculture industry one day at a time. Laney and her family, Dan, Remy, Tessa, herself and Tani. Brenda Kirsch, also a St. Paul resident, is a prime example of women taking over new roles in the agriculture industry. Raised in St. Paul and then leaving home to attend Loyola Marymount University in Los Angeles, California, Brenda learned what was the best of both worlds and then chose to return home. Now a volunteer fire fighter, EMT, and partner on her father’s farm, Brenda has found her place in the town. 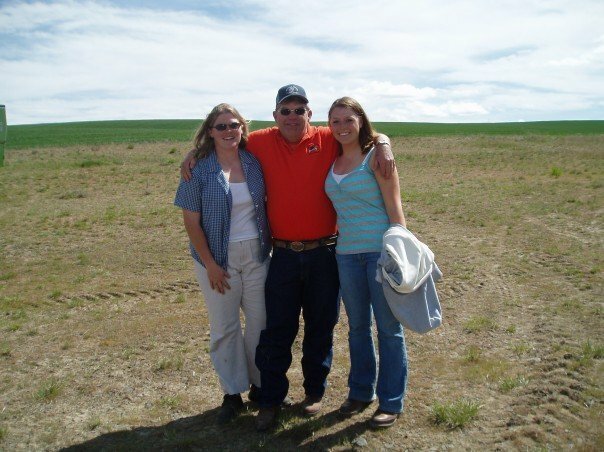 While still learning the ropes from her father, Brenda has settled in nicely to the agriculture world. Every day she is tackling the stereo-type that women are meant to be in the kitchen. Now, men that have been farmers for years go to her for advice. 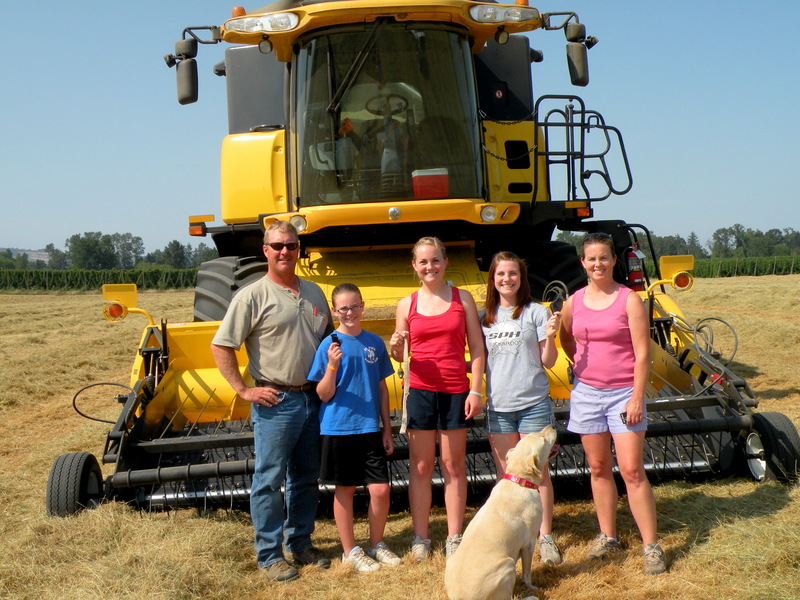 When asked why she farms, she said it isn’t because she is trying to tackle the stereotype, it’s because she loves it. She sees farming as part of who she is, because it has been the foundation for her life. The same can be seen with my older cousin, Erika Wilmes. She graduated from Oregon State University with a degree in Horticulture and Ag Business, and has returned to her family farm to help her parents run the day to day business. St. Paul is full of children returning home to try their hand at what the older generations have been doing all their life. So is the agriculture world a place for women? One is led to believe that yes, it is. Although you may not see many women running farms right now, there is sure to be a change in the future. With gender roles becoming not so important, women are sure to jump at the opportunity to take on new jobs. In places like St Paul, you are for sure going to see young women returning to the farm to take over the family’s agricultural based business. With society evolving, so are the roles of men and women. As a woman who farmed and ranched with her brother and father on a large operation for 15 years, most of it without an Ag involved husband. It is probably the most demanding job ever and deciding to be a wife and mother caused me to leave the operation. I don’t think most women are prepared for that when choosing to be an owner/ operator. As the “Freeborn daughter” in the top picture, I can definitely attest to the difficulties of farming and having a family. We have a 2 year old and another on the way, and my life has never been more chaotic. Just glad we have the support both grandmas & grandpas – otherwise I couldn’t do it and farm too (without daycare of course, but that’s not an option we wanted for our kids). Having knowlegable advocates for agriculture is just as important though too – so don’t hesitate to be involved that way!!! Excellent guest post! Laney shares so many important issues facing agriculture and women in ag. She did a great job relating the issue back to her family and making the article very personal. Lany’s statement “women of agriculture have been the silent heroes of everyday life,” is so very true. Thanks for sharing Laney’s story on your blog. I enjoyed the read….again! Both of you, keep up the great work. You are more than welcome, it was truly my pleasure sharing her paper on here! She is one talented lady!